Some skiers spend the winter chasing powder days, or more accurately, powder hours. Others live for the soft snow, blue sky and longer days of spring. 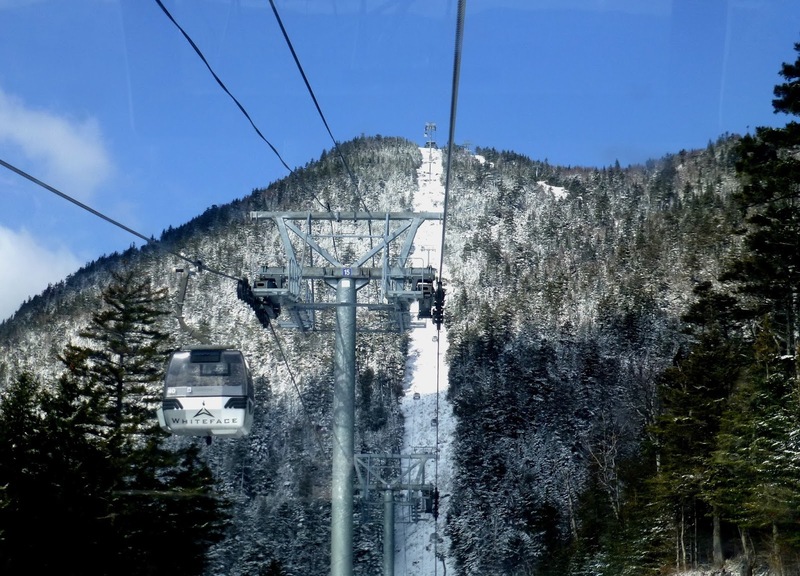 If you're a spring guy, last weekend brought some of the best skiing of the season, with Whiteface serving up some of the best terrain in the east. Coincidentally there have been several posts in the ski blogosphere recently with the theme of "it's the skiers I'm with that make the day great." Whiteface on the day after Easter was exactly that kind of day for our family. We had a great crew of 10 - our usual Saratoga Skier team of 4, another 2 kids whose dad is injured for the season, and our friends the Albas. We kicked off Easter break with an overnight excursion to Vermont to use our remaining Mountain Collective day at Sugarbush. Since the long weekend started with a round of rain across ski country Thursday night, we warmed up with a day of at Okemo, where we knew the grooming crew would do a good job getting the mountain back into shape.